How can The Rock not be on WWE TV right now? Two weeks ago I wrote a blog about fans complaining about The Rock vs. John Cena II at WrestleMania 29 and for them to stop the complaining. Now two weeks later I can admit when I’m wrong and understand why some people are siding more towards this match not happening again. Yes, calm down…some of you were right. The immediate reaction from the “regular” wrestling fan is to blame John Cena. I believe most fans operate under the auspicious of “when all else fails, blame John Cena.” Under these circumstances I believe the reason why fans are not excited about Rock/Cena II is because of the current WWE Champion, The Rock. Let me first preface this by saying I am a huge fan of The Rock. 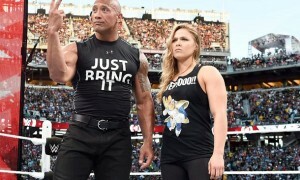 When I was growing up The Rock was “my guy” during the “Attitude Era.” While most people were “Stone Cold” Steve Austin fans, I sided with “The Great One.” I was extremely excited for his return back at WrestleMania 27 and even more excited for his one-on-one encounter with John Cena at WrestleMania 28. Fast forward two weeks ago and I appeared to be in the minority of The Rock vs. John Cena II debate. Now I’m starting to shift over to the side of people who aren’t that excited and deserve the right to complain simply because The Rock isn’t on WWE television the last two weeks. Because of that the WWE has failed to further one of the Main Event storylines for WrestleMania 29. Now this isn’t just any Main Event storyline for WrestleMania 29, this is the WWE Championship storyline. Since it’s inception we as wrestling fans were always taught that the WWE Championship match was the most important match on the WrestleMania card. For the last two weeks it has taken a backseat from everything else and is being furthered along in video packages all because The Rock isn’t there. The WWE knew this was coming, we as wrestling fans knew this was coming, but now that it is happening, I can’t believe the WWE allowed this to happen. I believe the only way this can be saved right now is if these guys can tell a better story in the ring then they can in promo’s and television packages the next two weeks. After last year’s match that appears to be a tough thing to accomplish but to give them the benefit of the doubt, I believe they can do it. 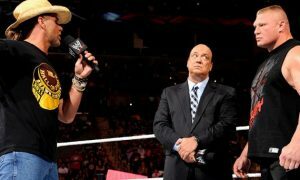 The WWE needs to pull out all the stops heading into and at WrestleMania 29 between these two stars so we can forget this ever happened. For if the WWE, The Rock and John Cena fail in delivering at WrestleMania 29, this could very well be one of the biggest debacles in the WWE history. It could make John Cena vs. The Miz look like a 5-star match compared to what we are seeing right now. I’m serious. I know when there is “egg on my face” and when I can admit when I’m wrong, wrestling fans have a reason to be upset with Rock/Cena II. Sadly the “common” wrestling fan made me into a believer rather then the WWE making me a believer in Rock/Cena II. I can only hope things get turned around quickly. 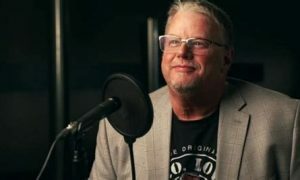 For more on this topic join us for the Thursday March 21tst edition of “The Still Real to Us Show” and download the show at www.wheelhouseradio.com or www.wrestlechat.net.